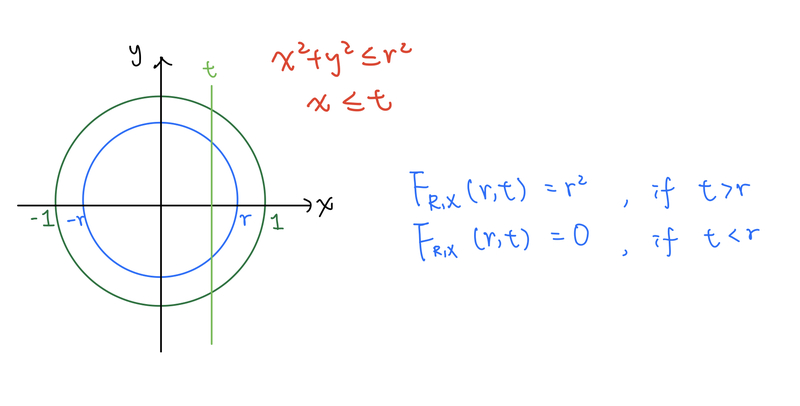 A point $(X,Y)$ is picked at random uniformly in the unit circle. Find the joint density of $R$ and $X$, where $R^2 = X^2 + Y^2$. Browse other questions tagged probability probability-distributions or ask your own question. Probability density function of $x$ in the unit circle? Joint probability density function, unit circle?